The war is over. Juliet Ashton is grappling with writers block when she receives a letter from Dawsey Adams of Guernsey – a total stranger living halfway across the channel. Who has come across her name written in a second-hand book. I have been reading so many good thing about this book for such a long time, and then when it was made into a film, I knew that I had to read this book, before I saw the film as it had been on my to-read list for way too long. I can honestly say that yeas, I should have read it far, far earlier then I did, but it was well worth the wait. This book really is extraordinary, there is no other words to describe just how powerful a read this book is. With it’s very simple story of one writer and a group of people all starting the process of trying to move on after years of war, they find themselves finding a new beginning just on the horizon, but they need each other to take those tentative steps. During the war Juliet Ashton had been writing a column under the name Lizzy Bickerstaff which brought people together and gave the country some light-hearted fun to get behind and enjoy. Now the war is over, Juliet has found herself stuck in a bit of a rut she has got terrible writers block. Then she receives a letter from Dawsey Adams; a complete stranger from Guernsey which starts of what will be a beautiful friendship. Dawsey came across her name in a book, he tells her about his book club; the Guernsey Literary and Potato Peel Pie Society from that one letter she begins corresponding not just with Dawsey but the other members of the society, they tell her about life under German occupation and how they suffered ad survived the war. Juliet soon becomes engrossed in their world, in their stories and soon finds inspiration has struck and suddenly she finds herself on Guernsey, meeting the very people who have brought life back into her boring, dreary life. This trip to Guernsey is a trip that will change her life forever and that of the society members too. The central storyline regarding Juliet and her love life is pretty is to ascertain where the story is going and who she will end up with. For me it was the bigger picture the story around the Guernsey literary and potato peel pie society and it’s members that captured my attention, I can guarantee that anyone reading this will go through so many emotions. What really stuck with me after reading this book, is the overwhelming warmth that fills you after reading it, it leaves it’s mark on the reader – well it has one me, far more then any book ever has. This has got to be one of the best books I have read, it is a truly beautiful and heart-warming book. There isn’t a moment, a page or a word that I don’t like about it, the characters are all extremely well researched, lovable and they will make you laugh and cry in equal amounts. A magical book that everyone should read! The Guernsey Literary and Potato Peel Pie Society is available at Amazon. 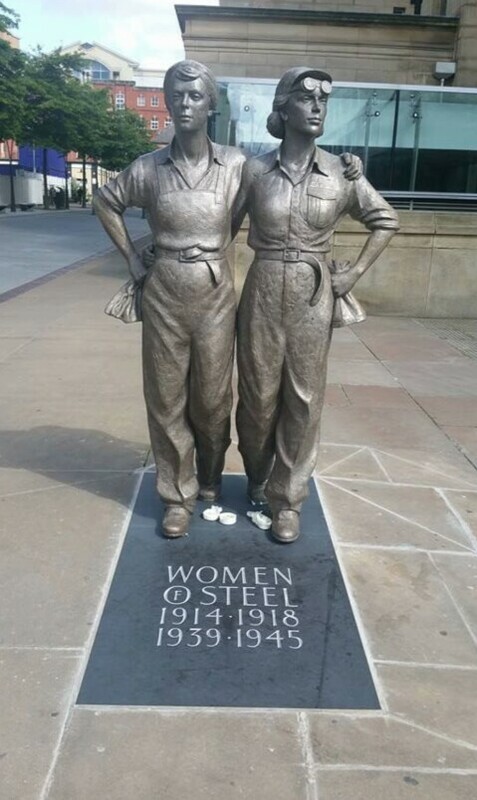 This entry was posted in Historical Fiction, Reviews, WW2 and tagged Annie Barrows, Historical, Mary Ann Shaffer, Review, The Guernsey Literary & Potato Peel Pie Society, WW2 Fiction. One word sums this book up for me; Magnificent! This is an incredible book, I have had my eye on this one as soon as I saw the cover – yes, I did base my wanting to read it on the cover first, but only because I have a real soft spot for this era and then when I read the blurb, I was completely hooked. I love war time romances and I was jumping around like a bit of a hyperactive two years old when I got offered the chance to read this one and I can honestly say that this fully lives up to all the hype, it is fabulous! Kathryn is an evacuee, she was sent away from the city by her a powerful man in the British army/government she is sent to live wit Norman and Charlotte in the country, where she helps on their farm and looks after the other evacuee children. All is fine until the American’s move in, swanning around like they own the place. Kathryn has definitely got a chip on her shoulder when it comes to the GI’s she, her frosty and hostile attitude towards them makes me think of that old saying what used to be said and what is in a lot of war time films “Over paid, over sexed and over here.” And when she meets engineer Dale her animosity blows up at him, poor gorgeous Dale he becomes the one who she lashes her fury and irritation out on, unfairly if you ask me. I think that Kathryn is a little harsh on Dale to start with, she has an ingrained prejudice towards American’s and she treats very unfairly when all he wants to do is get to know her. He is an American in a stranger country, and yes I will say that Britain in the war was strange, it takes awhile for Dale and his comrades to adjust to out….shall I say slightly eccentric British-ness? But he charm’s her out of her old way of thinking and soon she has fallen head over heels for him. Come on how could she not? Dale is a stud! What a wonderful character he is, he can relate to the humble farmer’s and how they are fighting and toiling to feed their own. Back in the USA he is one of those very farmer’s he knows hard work and isn’t afraid of it, he does every job with the same gusto and precision as he would while back on his farm. He has a kind and generous heart that makes you cry and laugh, and a charm that can woo any bird from the tree’s. As I was reading this it made me think of that episode of Foyles War when Hastings is, as the locals say being ‘invaded’ by American’s This has that same charm and wit about it that, it is comforting as well as exciting. I was gripped by it, while reading it you go through so many emotion’s as you are plunged into that dangerous time where life is so uncertain. Ms Robinson has done an astounding job at bringing to life the real emotion of the time, with absolute clarity. I particularly love that each chapter starts off with a page from Kathryn’s diary, her thoughts, feelings, happiness and fears are all there you the reader to bare witness to what is going on. I love that touch, it is like dipping into her life through those secretive word’s and it connects you to her and makes you care about her that much more – if that was possible! This is the first book I have read by Lauri Robinson and what an introduction into this author’s work, and I will definitely be reading more from this talented author. She has captured the readers attention with her way with words and her knowledge of the era. I got a real sense of how much this story meant to Ms Robinson, every page has feels very personal. I do like historicals that have accurate details in them which brings the story to life, and this is wonderfully detailed. This is astounding! I am so pleased that more people are reading this era as it is fraught with absolute love and danger and this is right up there with the best war romances I have read. For those that have read and love the likes of Pam Jenoff then this is the book to read, it is fabulous and one of the best of the year. I cannot recommend this enough! The War Bride is available now and can be purchased from Amazon. 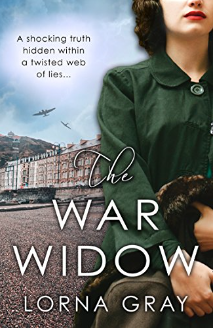 This entry was posted in Historical Romance, Mills and Boon/Harlequin, Reviews, WW2 and tagged Complimentary copy, Harlequin, Historical Fiction, Lauri Robinson, Mills and Boon, The Diary of a War Bride, WW2 Romance. 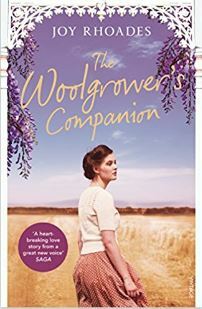 Today I have the very great pleasure to welcome Historical Fiction author; Joy Rhoades to Chicks, Rogues and Scandals for an exclusive chat and to share my review of her beautiful debut novel; the Woolgrowers Companion. I grew up in a small town in the bush in Queensland, Australia. I spent my time with my head in a book, or outdoors – climbing trees, playing in dry creek beds, or fishing for yabbies in the railway dam under the big sky. Some of my favourite memories were visiting my grandmother’s sheep farm in rural New South Wales where my father had grown up. She was a fifth generation grazier, a lover of history, and a great and gentle teller of stories. My childhood gave me two passions: a love of the Australian landscape and a fascination with words and stories. Frankie Hi Joy, Welcome to Chicks, Rogues and Scandals! Thank you for taking the time to chat with me today. Joy I guess I’m curious and tenacious. And kind, I hope. I try to be. Joy If I could time travel, I’d like to go with aviation pioneer from the ‘30s, Amelia Earhart. To meet her and find out what happened to her. I have always wanted to learn to fly, and she was such a woman of firsts. Inspiring and tragic. I’m fascinated like many, as to what really happened to her in the end. Frankie That would be amazing, she was such a fascinating and brilliant lady. Can you tell us a little about latest release? This can be your most recent or up-and coming release. Joy The Woolgrower’s Companion is historical fiction, set in Australia in 1945 on a remote sheep station. It’s the story of a young woman’s fight to save her father’s farm, when he becomes ill. Kate Dowd, the hero, is somewhat newly married but her remote husband is away fighting in the war. When Kate’s father accepts two Italian prisoners of war to work, unguarded, on their sheep property, Kate must fight to protect herself and Daisy, her 14-year-old domestic, a product of the Aboriginal Domestic Training Home. Kate’s is a story of struggle but essentially a story of hope and of love. Frankie Love it!! Who was your childhood hero? Joy I really admired Amelia Earhart. I have always wanted to learn to fly so she had it all. A pioneer, an explorer, a woman. Unfortunate end, of course, but it seemed worth it. Joy It’s funny but a lot of readers have told me how cinematic they find The Woolgrower’s Companion. A mate suggested Margot Robbie for Kate, perhaps? She’s from a small town not far from where I was born, so she’ll understand landscape. Luca? I asked my followers on social media and from the nominations, one name stood one: Aldo Mignone. And he looks just perfect for it. Frankie Oooh, very nice! 😊 Out of all your work, who is your favourite character and why? Joy I like Kate, the main character in The Woolgrower’s Companion. She grows a lot through the books, makes mistakes, learns sometimes, not always. But she ‘banks’ her learning so se feels stronger over time. I hope she’s inspiring. Frankie Wow, that is incredible! What three tips would you pass on to an aspiring author? Joy See writing as an end, a craft that you work at all your life, whether to be at the top of the NYT best seller list (I wish 😉) or just for yourself. But keep at it, working to hone your skills and take pride in that work. There’ll be such reward that comes within from just writing well. Anything else that a writer manages? Like getting a short story published or even getting a publishing deal? Clover. Joy Wow. Where to start. The Australian poet and activist Oodgeroo Noonuccal (formerly Kath Walker). And another Australian poet Judith Wright (she’s a distant relative of mine, which fact I love, hoping a drop, just one drop, of her outsize talent might have Australian-crawled its way through the gene pool to me :/) Tim Winton would have to be there, of course. We’d all talk writing and landscape, words and land. Frankie Thank you, Joy for taking the time out of your busy schedule to chat with me today, I have just one more cheeky question, just for fun . . . What is your all-time favourite naughty but nice food? Joy’s debut book The Woolgrowers Companion is to be released on 28th June and can be pre-ordered at Amazon. Well, what can I say about this book, other than; It is incredibly moving and astoundingly good. Really, this book is really too good for words! The Woolgrowers Companion is Ms Rhoades debut and, my goodness what an introduction, this highly talented author is going to go very far in the world of historical fiction. I love the fact that ‘The Woolgrowers Companion’ is based on the real-life story of one of the author’s ancestors, and at the start of each chapter is a little quote from The Wool Growers Companion which fits in beautifully with the way the story and chapter is going. This is an astonishing, emotionally raw and beautifully written book which handles some very difficult subjects, but Ms Rhoades has covered them with the upmost care. Set during 1945 in North South Wales, Australia where a young woman, Kate Dowd who has always been brought up to be a proper lady by her later mother has had to cast aside her lady-like gloves and behavior to help on her family farm; Amiens along with her increasing worrisome father; who built up the farm from scratch at the end of WW1. With the war nearing an end, the area is dry with drought and lack of able-bodied men, all gone due to the war which including her husband of six months; Jack. Amiens is the recipient of two Italian POW’s; Luca and Vittorio her father is very grateful for the help and so is Kate that is until she is given one of them to help her in the kitchen garden. She becomes increasingly drawn to handsome and gentlemanly Luca, he isn’t at all what she expected when they had agreed to take on two POW’s. He is polite, hardworking and kind she knows she shouldn’t take an interest in Luca and he knows that fraternizing with the local girls is punishable with imprisonment and, yet there is a spark between them. To add to Kate’s worries her father has been borrowing money that they can’t possibly pay back, and the horrible bank manager is on the war path to take Amiens from them. I love the fact that this is predominantly written through Kate’s point of view, she is a very real young woman, that you can relate to instantly. She goes through so many emotions that you share with her as the story goes along; from confusion over her startling feelings for Luca, surprise and anger at what her father has done and sadness that her husband Jack is so far away and that they are on the verge of losing everything her family have worked so hard for. I will admit that even though I have read a lot of post war novels, this is the first time I have read one set in this setting. 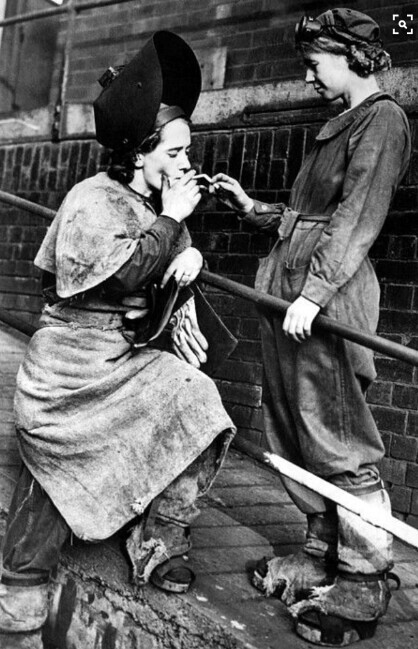 In my ignorance, I hadn’t known how the war affected those from Australia or even that Italian POW’s were sent to work on Australian farm’s. The ‘Woolgrowers Companion’ is an eye-opening and thought-provoking story that captures the reader’s imagination and invokes a thirst to learn more. This book is simply stunning! Ms Rhoades has a rare gift for story-telling, she entices and enthrall’s with her articulate writing and rich, atmospheric detail that transports you from your armchair to 1945 Australia. Her attention to detail is min-blowing, the plot and characters are perfect, the story moves forward in a very natural and at times surprising way, each scene is full of historic details and mood of the times and characters. Rhoades has created a beautiful story that I can guarantee will stay with you long after you close the last page. There are some very harsh and brutal moments such as racism, bigotry, PTSD and early stages Dementia which, Rhoades deals with it all in a respectful and honest and in a way that leaves a real sense of what these characters are going through. The authors genuine love of the story and her extensive research is evident on every page. This really is something special, it is a fascinating and moving portrayal of the time from a new author whose career I am looking forward to reading more from. The Woolgrowers Companion is to be released 28th June and can be purchased from Amazon. This entry was posted in ARC, Exclusives, Interviews, Reviews, WW2 and tagged A Chat With. . ., ARC, Australian Fiction, Interview Exclusive, Joy Rhoades, Review, Vintage Press, WW2 Fiction.